First it’s important to define tinnitus. 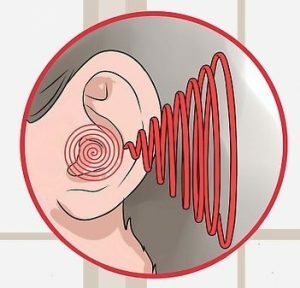 Tinnitus is when you hear ringing, buzzing, hissing, wooshing or any other noise in your one or both of your ears when this sound is not present in your environment. Tinnitus can be a sign of a very serious issue. 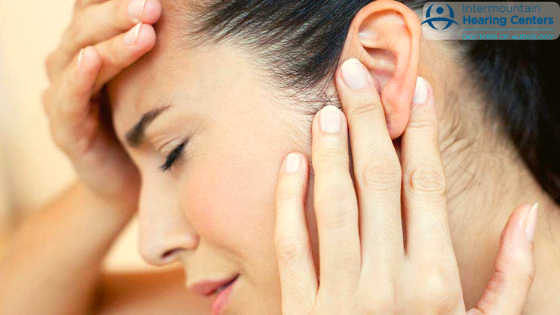 If you are experiencing tinnitus you need to consult with an audiologist to rule out medical complications. Untreated tinnitus is likely to become worse with age and can lead to psychological complications including depression and anxiety. Tinnitus is not a disease, but a symptom of an underlying problem such as hearing loss, ear injury or disorder, earwax buildup, auditory tumor or circulatory system abnormality. This is a very common problem. 50 million Americans experience some form of tinnitus. There area number of health conditions which cause or worsen tinnitus and so it is very hard to pinpoint the exact cause of tinnitus. But the most common cause of tinnitus is damage to the tiny sensory hair cells in the cochlea of the inner ear. What is the physiological mechanism that creates tinnitus? Tinnitus is most often caused by a culmination of deprivation to the auditory system combined with damage to the nerve endings/hair cells in the cochlea. Our brains are very intelligent and are aware when they are not receiving the stimulus they require for optimal auditory performance. Hearing loss causes auditory deprivation which in turn causes the auditory cortex of the brain to go searching for stimulation. What the auditory cortex finds is a change in the random firing rate of the hair cells. This rate is changed because of the damage which has occurred to the hair cells. Sensorineural hearing loss is damage to the nerve endings in the cochlea. When the auditory cortex detects this change in random firing rate it decides to interpret it as sound, since it has nothing else to process. The result is basically your brains interpretation of what a dysfunctional nerve ending sounds like. A good analogy for this would be if your computer decided to amplify the sound of its electrical circuity. It would not sound very nice. It should be noted that all people have some degree of damage to the hair cells in the cochlea. This means that all people will experience tinnitus if placed in an environment of auditory deprivation for a long period of time. Sensorineural hearing loss occurs when the hair cells/nerve endings in the inner ear become damaged. This is most commonly caused by excessive noise exposure. Excessive noise exposure can happen in an instant, like with a gun shot or explosion. It can also be cumulative over time, like the hair dryers in a solon or the sound of a loud engine. Most people experience the cumulative effect of both, which results in wear and tear of the inner ear over time. This is most often thought of as age related hearing loss which is a misnomer. Age is only a factor in regards to the amount of time you have spent around noise. Without noise age would not cause hearing loss. Conductive hearing loss is anything that impedes the mechanical transmission of sound vibration through the outer or middle ear. Common causes of conductive hearing loss are ear wax blockages, middle ear fluid or infection, ear drum perforation and syndromes affecting the integrity of the bones in the middle ear that connect the eardrum to the cochlea. Conductive hearing loss can cause tinnitus because it also causes auditory deprivation. Head injuries or neck injuries. Muscle spasms in the inner ear. Drinking alcohol & smoking cigarettes. stiffening of the bones in the middle ear. tumors within the auditory system. blood vessels or neurologic disorders. genetic or inherited inner ear disorders. With cases of tinnitus caused by hearing loss the most effective method to deal with the tinnitus is to restore access to normal auditory stimulation through the use of hearing aids. A large percentage of people who suffer from both tinnitus and hearing loss report improvement of their condition while using hearing aids. A small percentage (around 15%) report that they cannot hear their tinnitus when they are using properly fit hearing aids. Tinnitus retraining therapy. This is a type of counseling that retrains the brain to be less aware of the tinnitus, which causes the tinnitus be less likely to re-occur and lesser in intensity when it does. This therapy can only be performed by an Audiologist who has been certified in this method by Pawell Jasterboff, the author of the program. Retraining devices such as Neuromonics or the Levo System. These devices use tinnitus matching and specialized software to train the brain to block out or habituate to the tinnitus when it occurs. Important note: If you have tinnitus you absolutely need to have your ears and hearing evaluated to rule out any potential life threatening medical issues.